On Wednesday, October 4, at the talks in Minsk, the Ukrainian side intends to remind of its proposal to exchange hostages held on the uncontrolled territory of Donbas on the formula "88 for 313", according to the First Deputy Chair of the Verkhovna Rada of Ukraine, the representative of Ukraine in the Humanitarian subgroup of the Trilateral Contact Group Iryna Herashchenko. “Release of the hostages will be the key issue in the humanitarian group. At the previous round of talks in Minsk, Ukraine has already informed that it is ready to grant clemency for 313 criminals, in cases where the Ukrainian legislation allows, for the release of 88 Ukrainian hostages held in the occupied territories,” she told journalists on Tuesday after the session of the Verkhovna Rada. Herashchenko pointed out that these are the 88 hostages that the other side had confirmed, since the entire list of people that Ukraine is seeking to establish and exchange includes 144 people. The meeting of the Tripartite Contact Group in Minsk is scheduled for Wednesday, October 4. 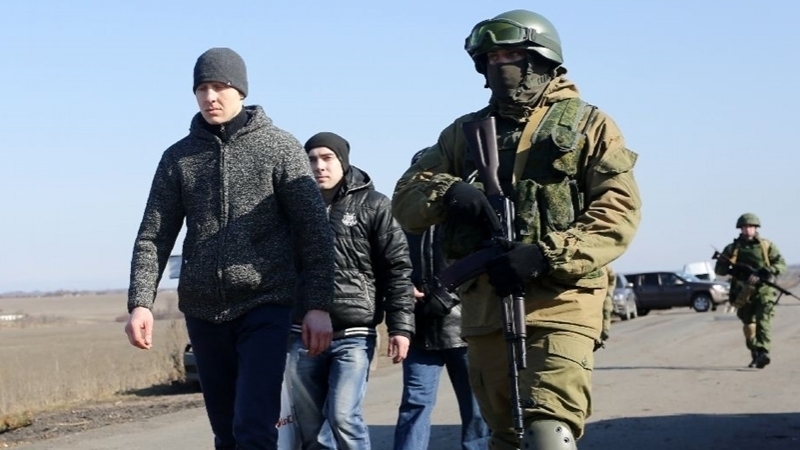 Reportedly, the terrorists in ORDLO demand the exchange of the Russian serviceman Victor Ageyev, who was detained in the Donbas, for the Ukrainian hostages they are holding.